I received complimentary services for this post. All opinions are my own. I’ve been chronicling my journey to #grannyhair for a couple years now. It has been a bumpy (and brassy) road. My locks have been through a total of six sessions and three different stylists. All this to say, when I announce that I’ve finally found my go-to colorist, this is not a decision I made lightly! 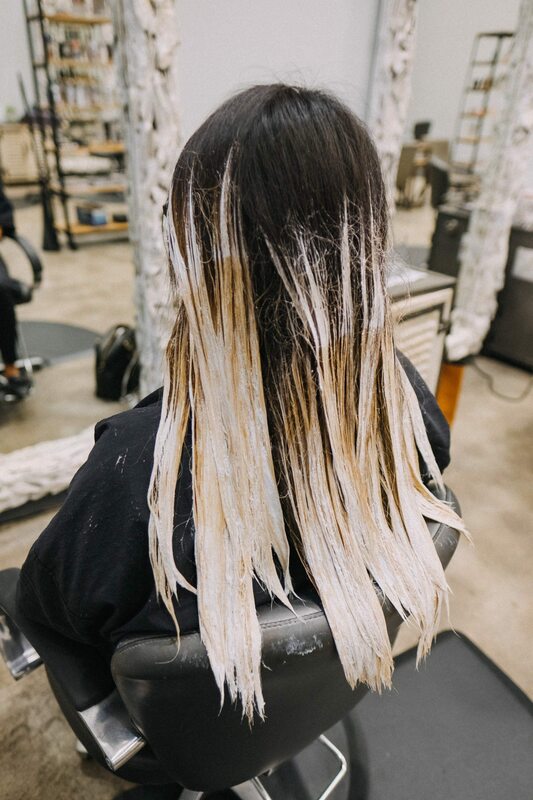 After looking at photos of my hair from our France trip, I was frustrated by how uneven and contrasty the blonde was after all the time and money I’d spent. There were several moments where I almost gave up and ran to the drug store for a box of black dye. I’m so glad I didn’t, because a sweet direct message on Instagram from @bymarnie gave me the faith to continue my journey! 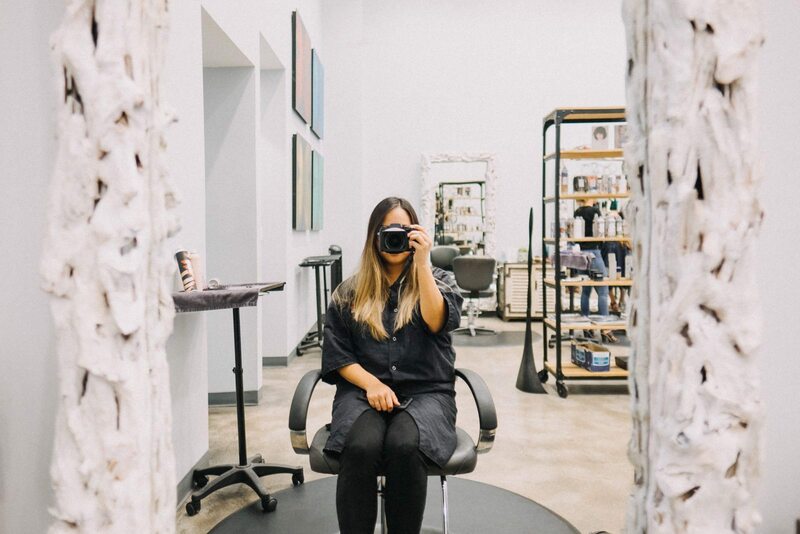 Marnie Doxey is a hairstylist at Chad Rookstool Salon in Uptown and new to the Dallas area. She was looking for local influencers to work with, and I lamented over my granny hair goals and balayage woes. We made an appointment for a Thursday evening (when the salon is open until 8), and the rest is hairstory! As an introvert, I typically dread hair appointments. 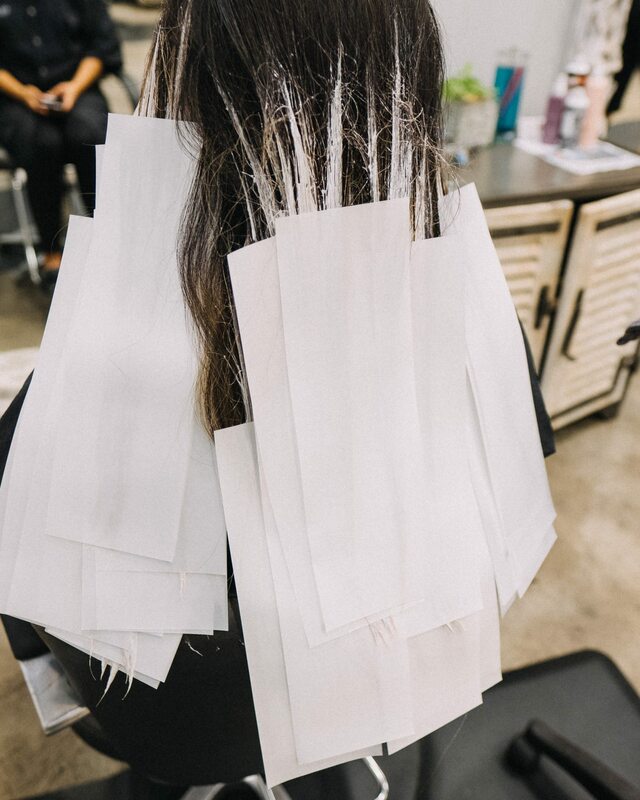 It’s difficult for me to make small talk with stylists, especially over the long period of time it takes to bleach my naturally black hair. Marnie’s sweet disposition and warm personality eradicated any fear I had of hair-coloring conversation. We talked about her recent move from Utah, my adoption story, and our mutual desire to use our Instagram pages for sharing authentic stories. Between our conversations, Marnie worked her magic– tirelessly toning each section with care. I was floored by the results. It was almost like I had resigned myself to orange-toned ugly hair as a means to an end. To see my hair with beautiful ashy highlights that melted together seamlessly almost brought a tear to my eye. 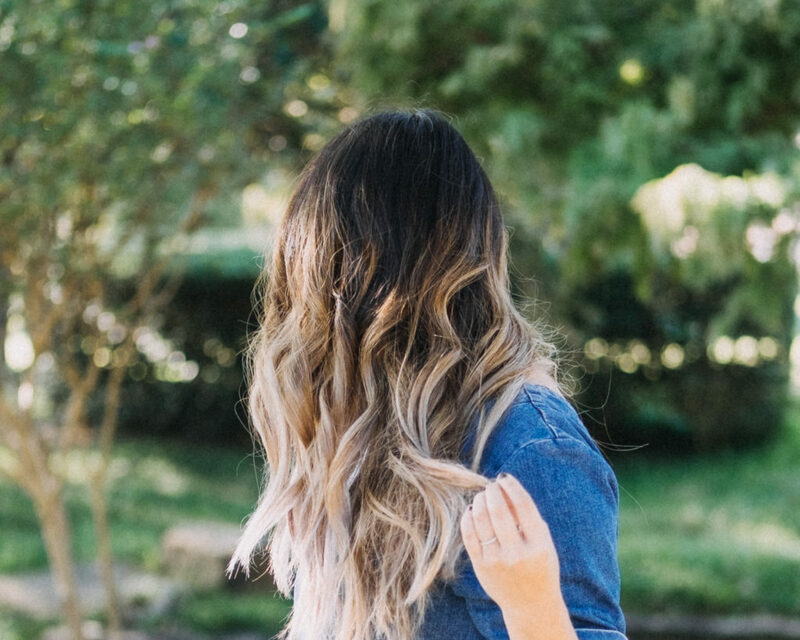 No streaks or spots… the stuff of my wildest Pinterest dreams! 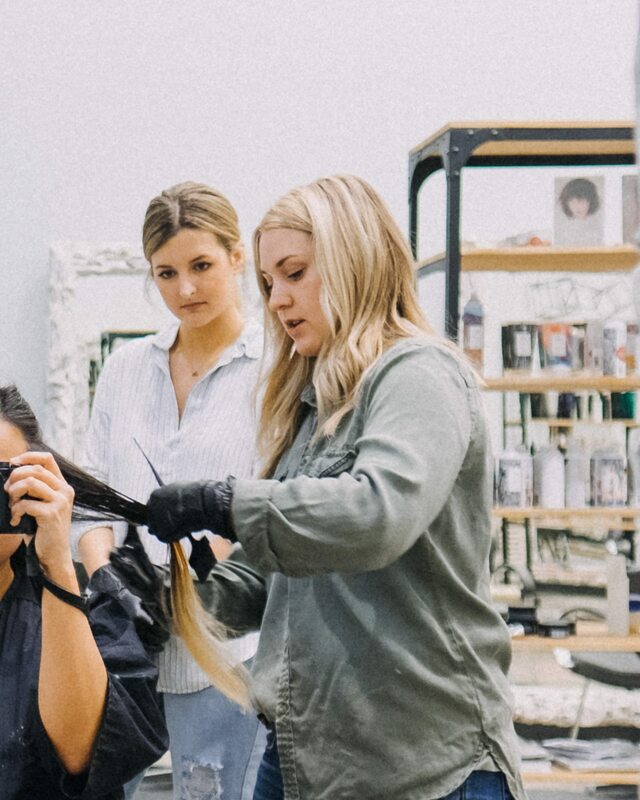 Scroll down for a play-by-play of the transformation, and visit Marnie’s Instagram account for more hair inspiration. 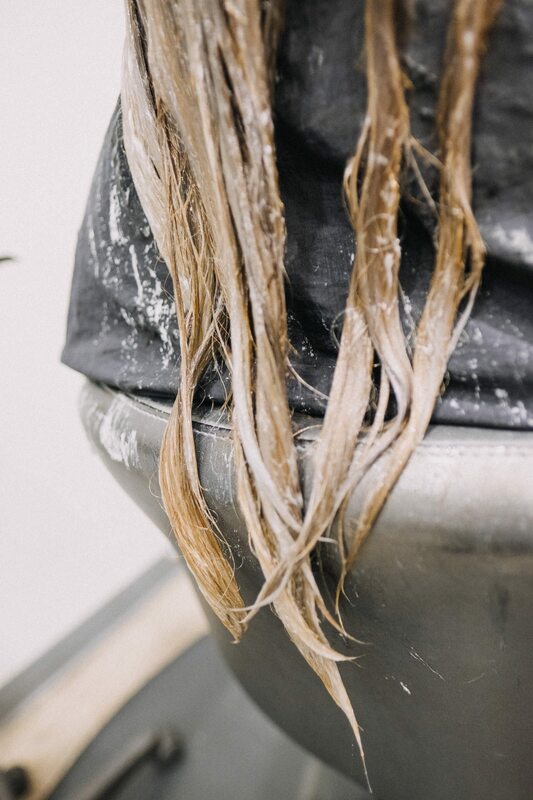 Book an appointment with her at Chad Rookstool Salon. 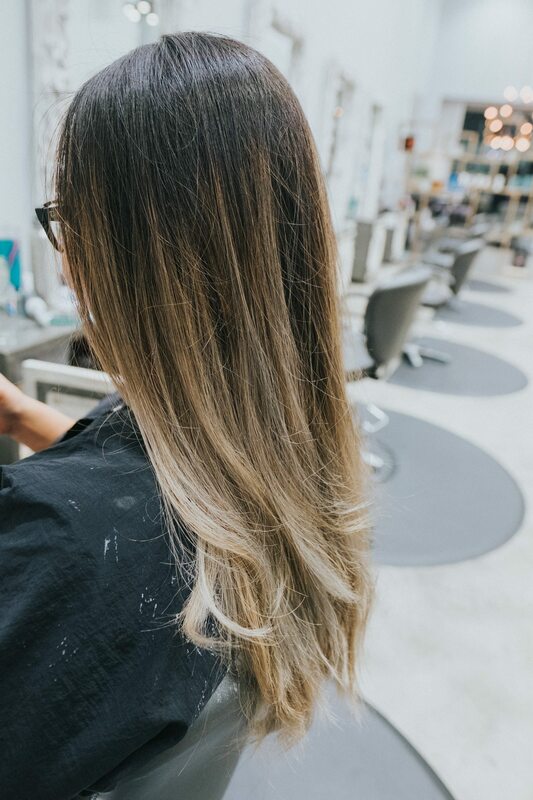 Thank you for my beautiful balayage, Marnie! Can’t wait for my next session. Omg I love your hair!!! 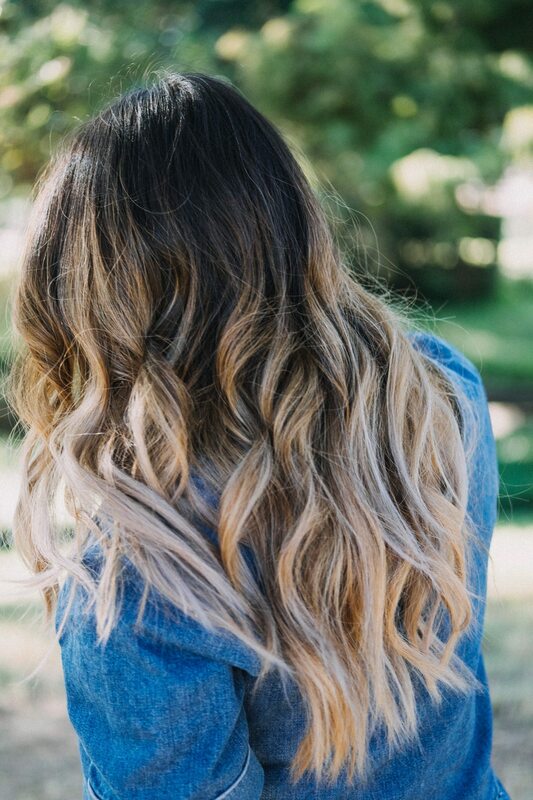 1) Your hair looks FAB! 2) Did you change your blog layout again?! 3) Love you SO much! lol thank you!! love you, too! and no– well, sort of. i just made the blog page of the theme the homepage– before it was more of a landing page, and you had to click “blog” for this layout. trying to keep things more simple.